Tom Samoluk who worked for the ARRB was interviewed recently on radio by Don Rea on his Nightside program. You can listen here. Samoluk is working for now for the investment firm John Hancock in Boston. He wrote an op/ed with in The Boston Herald with Judge John Tunheim. Now it's odd that the op/ed states that the ARRB was the last "investigation." It was and it wasn't. At the time they were loath to say they were investigating anything. But, by the very nature and spirit of the JFK Act they had to be. They did break new ground in the medical evidence area and were urged to do so by Rep. Louis Stokes who was the chairman of the HSCA. On Sept. 30, 1998, after four years of chasing history, the Assassination Records Review Board handed its final report to President Clinton in the Oval Office. 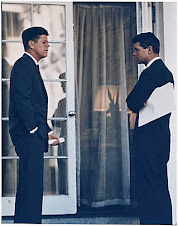 It would prove to be the last government investigation into the assassination of President John F. Kennedy. Neither the work of the Review Board, previous government investigations nor the passage of almost 50 years has quieted the controversy surrounding the assassination. No one really wants to believe that a 24-year-old pro-communist misfit who thought he should be important could assassinate the leader of the free world in the middle of a Dallas motorcade. As the half-century anniversary is marked tomorrow, with accompanying media saturation and a new poll showing once again that the vast majority of Americans do not believe that accused assassin Lee Harvey Oswald acted alone, it is clear that final resolution of the case to everyone’s satisfaction will likely never be achieved. However, the vast body of information finally made available by the Review Board gives the American public the firm basis to decide for itself what happened on that terrible day in Dallas 50 years ago. The Review Board, unlike the Warren Commission in 1964 and the House Select Committee on Assassinations of the late 1970s, was not tasked with concluding who killed President Kennedy. The Warren Commission had concluded that Oswald acted alone. 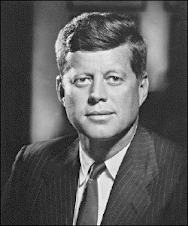 In contrast, the Select Committee determined that “Kennedy was probably assassinated as a result of a conspiracy,” but could not determine who was involved. Then in 1991, the controversial Oliver Stone movie, “JFK,” was released. The movie highlighted that many records from the Warren Commission and House Select Committee were still classified. The ensuing uproar led to the creation of the Review Board. Operating three decades after the assassination, with the trail of evidence cold, the board’s job was to find, declassify, and make public records related to the assassination. The Review Board succeeded in declassifying more than 5 million pages of assassination records, now housed at the National Archives in College Park, Md., and available to the American public. 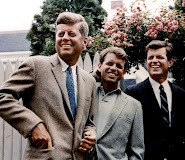 Authors of many of the recent books on the assassination, journalists, historians, and a new generation of interested students of the assassination have taken advantage of the vastly more robust record of the Kennedy assassination and the history surrounding it. Despite the herculean efforts of the Review Board to find more relevant records and make virtually all the records it saw public, the fight for disclosure goes on. Joannides spearheaded the CIA’s relationship with an anti-Castro exile group before the assassination. Oswald had a public fight with members of this group on the streets of New Orleans during the summer of 1963. The CIA failed to reveal details of its relationship with the exile group to the Warren Commission. Later, during the House Select Committee investigation in the late 1970s, Joannides was the CIA’s liaison to the committee. Once again the CIA failed to reveal Joannides’ connection to the anti-Castro Cubans who had the encounter with Oswald before the assassination. The point is not that the declassification will solve the assassination. Rather, release of these documents will further enrich the existing historical record and the CIA needs to demonstrate that it is not continuing to hide relevant information from the American public simply to protect itself. 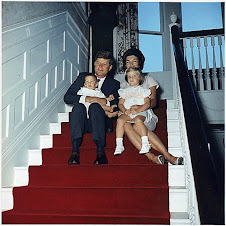 We will probably never know the complete truth around the assassination of President Kennedy. Investigations at the time were not up to today’s standards. Oswald’s quick death while in the custody of the Dallas police ensured that we will never know the entire story. However, we can do better. Excessive government secrecy has a corrosive effect and citizens deserve transparency. That is the legacy of the Assassination Records Review Board — the last investigation. U.S. District Court Judge John R. Tunheim of Minneapolis was chairman of the Assassination Records Review Board. Thomas E. Samoluk, deputy director of the Review Board, is a former Massachusetts assistant attorney general and is now an attorney in Boston in the private sector.